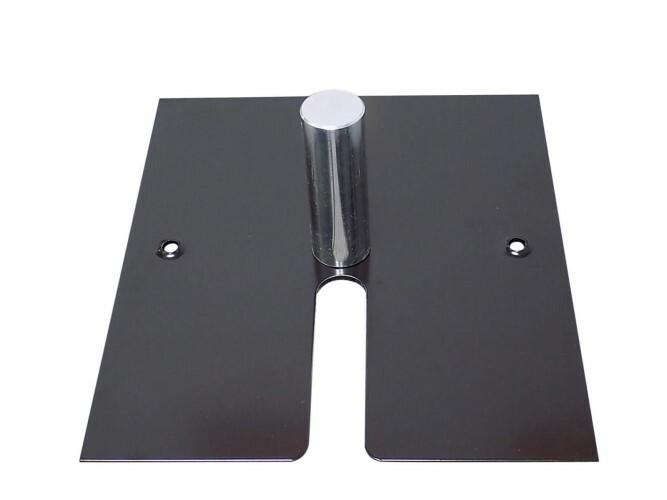 NOTE: THIS BASE IS MEANT FOR USE WITH OUR 6 FOOT FIXED, 8 FOOT FIXED, OR 8 FOOT TALL BREAK APART UPRIGHTS ONLY. Our taller uprights require heavier and larger bases. 16 inch x 14 inch durable steel base with 3 inch tall base pin (for use with 1.5 inch diameter aluminum Uprights). Options for other size base pins are available. 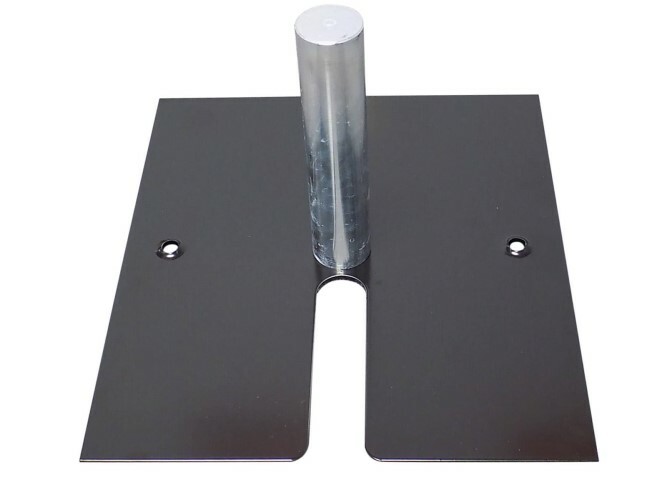 U-shaped stacking slot is cut in to one of the 14 inch sides. 10 lb. weight is approximate, with included base pin. The black powdered coated finish creates a professional look and makes this base easy to handle (no sharp edges or rough feel). Attaching the pin to the base is very simple and the machining of parts is done extremely well. Both pieces fit together securely for trouble free use. Highly recommend!! 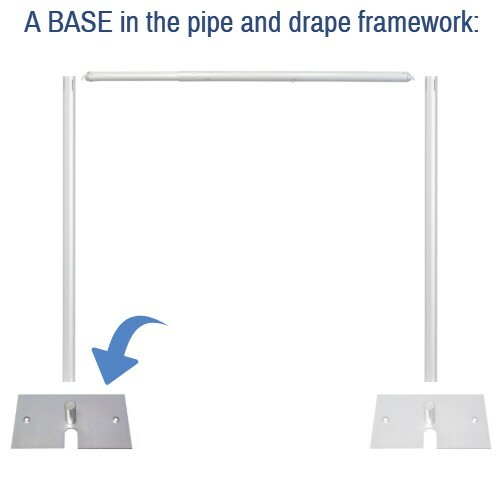 Base for Pipe and Drape great quality, and very fast delivery. Q: Do the pins remove for stacking and storing ? Q: what is the diameter of the pin? Weight (Approximate, Each, with Included Base Pin): 11 lbs. 2 oz.